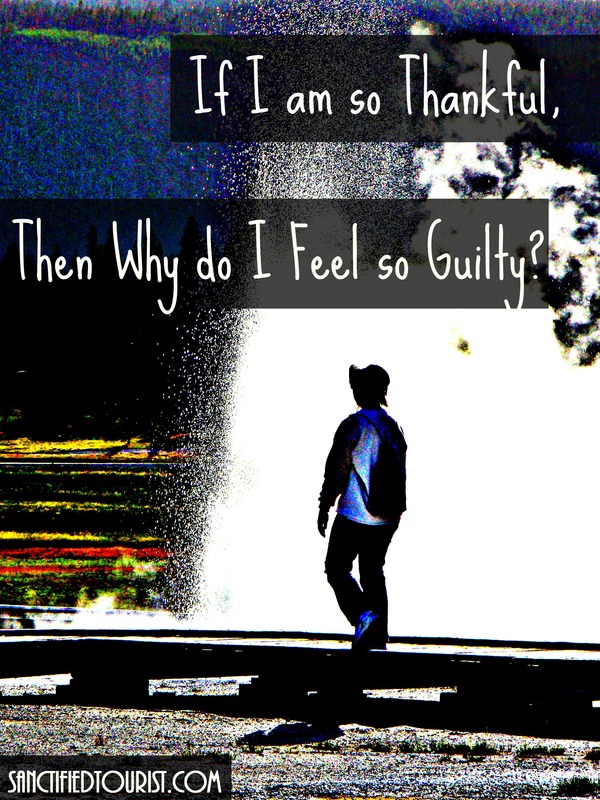 If I am so Thankful, Then Why do I Feel so Guilty? Someone I love went into the military right after high school. He was strong, agile, and emotionally fit for basic training. One night while he was on guard duty, a fellow soldier passed by him on the way to the restroom, but never came back out. He hung himself. So my loved one, the new recruit, barely wet behind the ears, had to recover the body as part of his guard duty job. What emotions might a person be thinking as he performed this grim task? There are many situations that we find ourselves in when the conflicting emotions of thankfulness and guilt push their way into our heart. 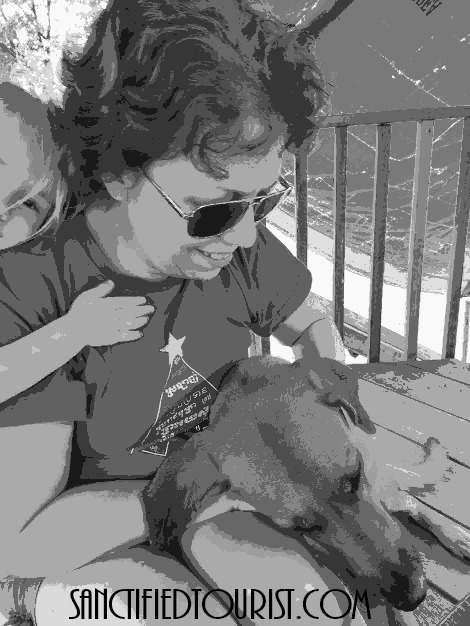 Thankful for the pregnancy, guilt over the friend who can’t conceive. Thankful for health, guilt over the one with cancer. Thankful for wealth, guilt over those in poverty. Thankful for the awesome job, guilt over the one out of work. Thankful for coming out of the military in one piece, guilt over the dead and injured. Look y’all, guilt is the wrong emotion to have in situations like this. Real guilt comes from sin. If you are a Christian, all guilt has been paid at the cross. This misplaced guilt comes from pride. PRIDE. From somehow thinking that your blessings in the face of such suffering is wrong, a mistake, maybe even sinful. Essentially it is a feeling of mistrust in your Creator. So how can you be thankful for your blessings and not feel guilty? Put God back on the throne and bow your knee to His will. 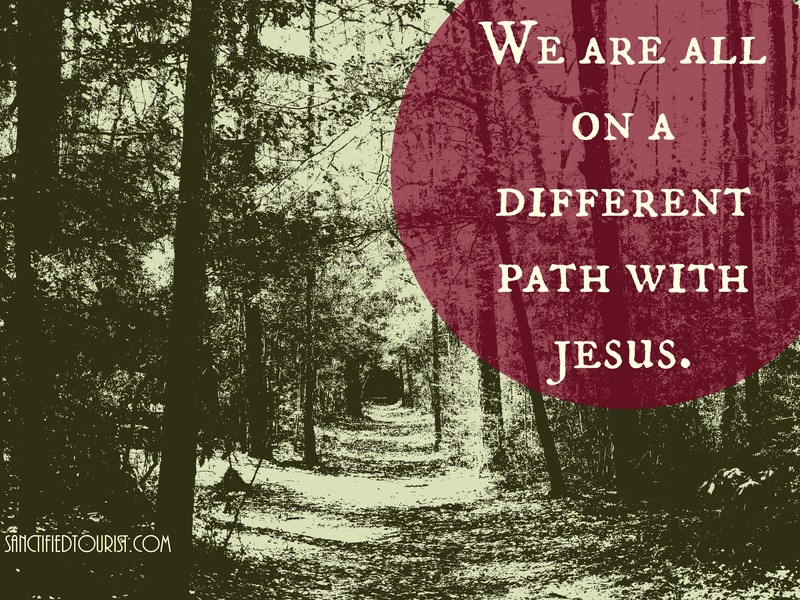 Trust that we are all on a different path with Jesus and that each is individualized, made perfect for that particular person, a path that may include suffering. Stop comparing. Change that guilt to compassion, mercy, and love for others. Serve them, wash their feet. And then throw your head back with great joy and be thankful for every gift He has given you. 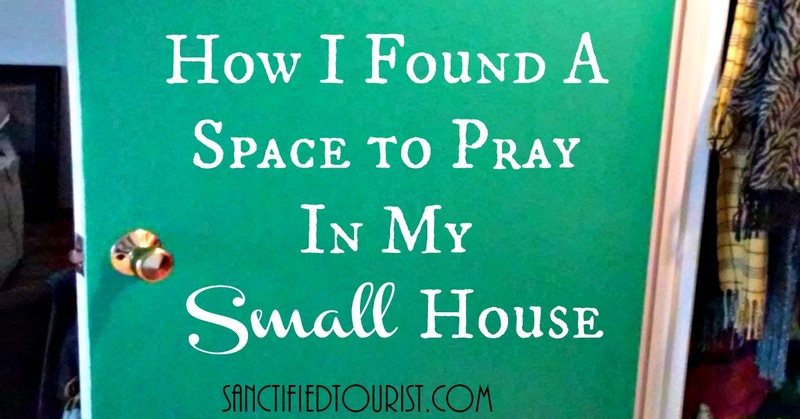 Categories: Alice's Life So Far, Culture and Jesus, Heart and Spirit | Tags: Christian Living, Christian Military, Christian Women, Christianity, Christianity and Culture, Encouragement, faith, Guilt, Heaven, pride, Trust | Permalink.